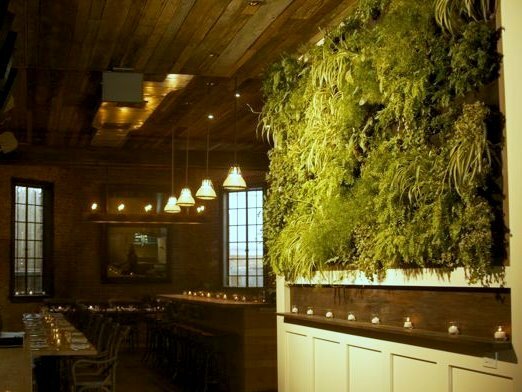 Woodland Landscapes installed a PlantsOnWalls Living Wall Kit for Colonie Restaurant in Brooklyn, New York. The living wall measures 12′ wide x 6′ tall and provides herbs used by the kitchen. Colonie’s owner, Tamer Hamawi, mentions how they plant to grow herbs that can be harvested for cooking in their new open-counter experience/lifestyle restaurant.